When I first discovered the world of credit cards, I was amazed at the breadth of the selection offered to consumers. Even today, after years of exploring the farthest reaches of credit cards and personal finance, I still occasionally come across an awesome card I never knew existed. While experienced cardholders and rewards churners may revel in the abundance and diversity of credit card types available to them, a novice to the modern credit card marketplace can easily be overwhelmed by the sheer number of options. To help put the field of choices into perspective, we’ve answered many of the most common questions about the different types of credit cards — and how to pick the right one. 1. What are the Four Major Types of Credit Cards? In most cases, if you’re asked what type of credit card you have by a merchant or checkout form, the question is likely referring to the credit card network, which is the company that processes the credit card transaction. The four major credit card networks are: American Express (Amex), Discover, Mastercard, and Visa. To determine which credit card network your credit card operates on, you can simply check your physical card for the network logo and/or name. 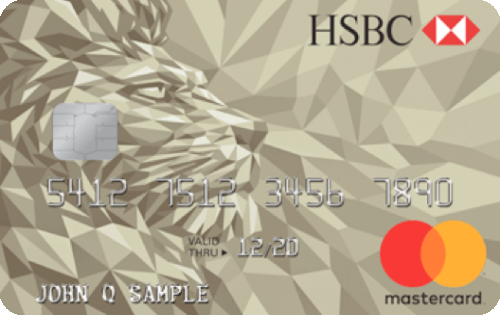 For many modern EMV chip cards, the network logo will be near the printed credit card number. It’s common to mistake credit card networks with credit card issuers, particularly because two of the major credit card networks — Amex and Discover — also issue all of their own credit cards. In contrast, most credit cards operating on the Mastercard and Visa networks are really issued by a secondary bank, such as Capital One or Chase, or another financial institution. 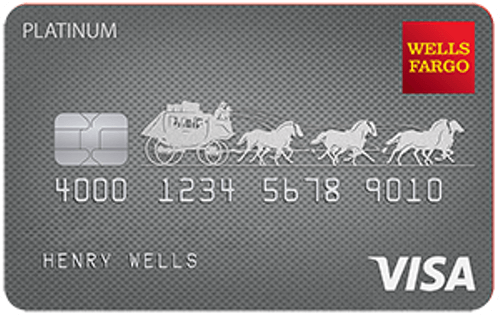 For example, the Chase Freedom® credit card is issued by Chase Bank, but the card is processed on the Visa network. On the other hand, the Discover it® credit card is solely a Discover card, because Discover is both the issuing bank and credit card network. Since it’s the network — not the issuing bank — that determines where your credit card will be accepted, you may wish to choose a card based on a specific network. While all four networks are regularly accepted in the US, Visa and Mastercard are generally considered to be the most universally accepted around the world (though American Express and Discover are growing in global popularity). Often credited as the very first credit card network, Visa began in 1958 as a part of the first mass-market consumer credit card, the BankAmericard offered by Bank of America. The company expanded internationally in 1974, and officially formed Visa, Inc. in 2007. Though hundreds of millions of credit cards around the world boast Visa logos, Visa doesn’t issue any of its own cards, instead partnering with a variety of third-party banks. Mastercard was founded by a group of banks in 1966 as a way to compete with the upstart BankAmericard credit card, and has since become one of the most widely accepted credit card networks in the world. Similar to Amex and Discover, Mastercard does issue several of its own credit cards. 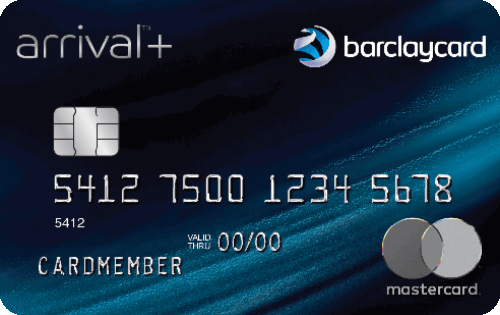 That said, the vast majority of active credit cards sporting the Mastercard logo are issued by third-party banks, including Barclays and HSBC. Discover’s heritage traces back to the 1980s as an offshoot of the popular department store, Sears, before branching out on its own in the mid-2000s. 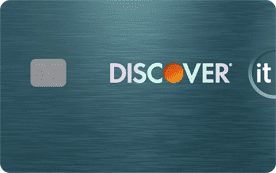 Discover is credited with pioneering the cash back rewards credit card, and carries that legacy into its card offerings to this day. 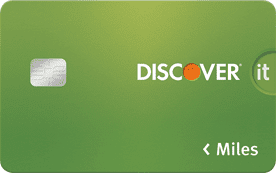 Discover is both a credit card network and an issuer, operating as its own issuing bank. American Express, often nicknamed Amex, was founded in 1850 as an express transport service. The company flourished throughout the next 50 years with innovations, like the first American Express Money Order and the American Express Travelers Cheque. Amex introduced its first charge card in 1958, and has since become one of the top five credit card issuers in the world. The Blue Cash Preferred® Card from American Express offers some of the highest cash back rewards percentages on the market, with 6% cash back for grocery purchases. Plus, you’ll enjoy an introductory 0% APR offer on signup. Although the Blue Cash Preferred® Card has a $95 annual fee, you can break even simply by spending around $35 a week on grocery store purchases with your card, which many of us are likely already doing. The Amex EveryDay® Credit Card from American Express provides points instead of cash back, with bonus points on all purchases at US supermarkets. Cardholders who use their Amex EveryDay® Credit Card 20 or more times a month can expect to receive 20% bonus points on those net purchases. 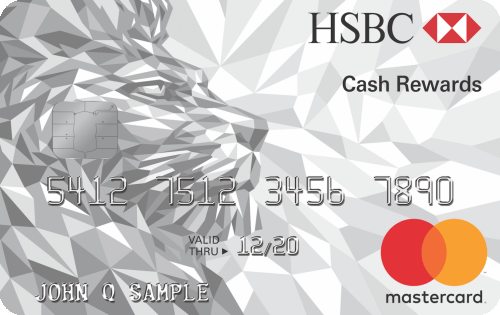 The Blue Cash Everyday® Card from American Express is the sibling of the Blue Cash Preferred® Card, offering rewards at a lower rate but without an annual fee. Similar to its sibling, the Blue Cash Everyday® card comes with a solid introductory 0% APR deal for new cardholders. 2. What Is the Best Type of Credit Card Rewards? If each credit card issuer put out only a single card, you’d still have dozens of options when seeking out a revolving credit line — but the options are hardly so limited. Even when you’ve narrowed down your search to a particular network and issuer, you still have a very important decision to make: which type of rewards do you want? Indeed, with such a glut of credit cards on the market, the rewards a card offers can be the deciding factor for many consumers. Unfortunately, there’s no easy way to pick the very best rewards card, as making the most out of credit card rewards will depend on your personal spending habits, as well as other facets of your lifestyle. For example, if you rarely travel because you have an intense fear of planes, a credit card offering airline miles is probably not the way to go. On the other hand, if you spend so much time in the air, you’ve been adopted by a flock of geese, a travel rewards card might be extremely lucrative. All in all, cash back rewards are the most straightforward to redeem, essentially providing a rebate on every purchase, while points programs are the most flexible, offering a variety of redemption options. Air miles are most valuable for cardholders who are frequent travelers — or who would like to be. The main choice you’ll need to make when selecting an air miles rewards card is whether you want a bank-branded card or an airline-branded card. Airline-branded cards, such as the Gold Delta SkyMiles® card from Amex, reward you directly with frequent flyer miles that are added to your airline loyalty account. Meanwhile, bank-branded cards, like the Capital One® Venture® Rewards Credit Card, don’t limit to you a particular airline. 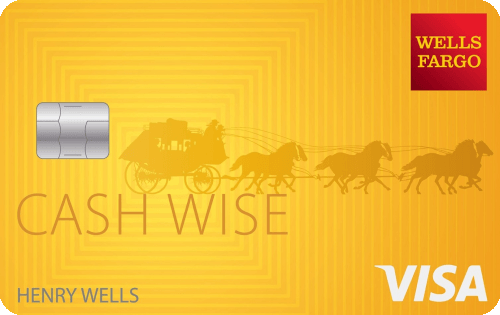 Cash back credit card rewards come in two main flavors: unlimited flat-rate rewards, or bonus category rewards. Unlimited programs give you the same flat earnings rate on all purchases, while cards that offer bonus categories provide higher earnings rates for purchases in the predetermined categories. Additionally, some bonus-category cards have rotating categories that change quarterly. Credit cards offering rewards points tend to be the most versatile rewards, typically providing redemption options that include cash back and travel, as well as things like gift cards, merchandise, and exclusive experiences. Many points programs offer the most per-point value when you transfer your points to a partner airline or hotel loyalty program. 3. What is the Best Type of Introductory Credit Card Offer? In addition to using credit card rewards to motivate potential cardholders, many credit card issuers are also offering a range of introductory deals to new members. These deals run the gamut, ranging from lucrative signup bonuses that provide a bounty of cash back, points, or miles, all the way to interest rate offers of 0% APR for 12 months or more. Most rewards-based signup bonuses change every few months, but the basic requirements tend to stay the same across the board. In general, you’ll need to spend a certain minimum amount with your card in a given time period, typically within the first 90 days after opening your account. Signup bonuses can be a great way to enjoy some extra savings or jump-start your points or miles. As valuable as signup rewards can be, however, intro-APR deals can often be even more lucrative for cardholders prone to carrying a balance. That’s because the average credit card charges an APR around 16%, which can equal sizable interest fees each month you tote around a balance on your card. With a solid intro-APR offer providing a 0% APR on new purchases, you can potentially save hundreds in fees over the course of a year. And if you already have a balance on which you’re stuck paying huge interest fees? Transfer that balance to a credit card with an introductory interest rate deal offering 0% APR on balance transfers. Eliminating your interest fees can be a great way to put more money toward your balance and get closer to being debt-free. Cards offering intro-APR deals for new purchases can be a great way to finance big purchases you need to repay over a few months, with typical introductory periods extending to 12 months or more. Plus, you can still earn rewards on your interest-free purchases. Your APR will revert to the default purchase APR when the offer expires, so remember to pay off your balance before the end of your introductory term to avoid being charged interest fees. Although you can’t earn rewards on transferred balances, you can certainly save a lot of money in interest fees by using a balance transfer credit card with an intro-APR offer. Keep in mind that most credit cards charge a balance transfer fee — typically 3% to 5% of your transferred balance — and you’ll need to pay the fee at the time of your transfer. Your balance transfer APR will revert to the default balance transfer APR at the end of your intro period. 4. How Many Different Types of Credit Cards Can You Have? With literally hundreds of different credit cards from which to choose, it can be hard to limit yourself to just one or two. In fact, to get the most value out of their credit card rewards, some consumers carry a variety of cards to ensure they always have a way to maximize rewards on any purchase. But is there is a limit to how many cards you can have? The short answer is: Nope. There is no hard-and-fast limit to how many credit cards you can have in your name, nor are there any official restrictions on the types of cards you can carry. If you want to amass over 1,000 different credit cards — and you have the credit to qualify for them — no specific rule says you can’t do so. That said, individual issuers sometimes have their own limitations on how many of their cards a particular cardholder can obtain. 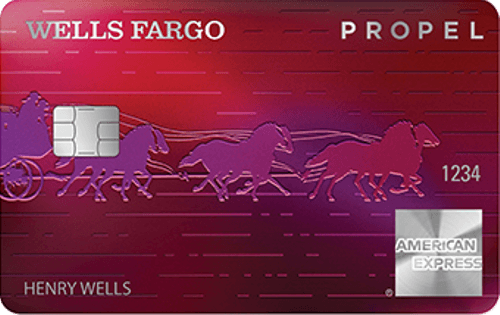 For example, American Express was long reported to have a five-card maximum per cardholder, though that no longer seems to be the case. A more common credit card restriction is a limit on the number of cards you obtain in a specific time period. In particular, Chase is infamous for its 5/24 Rule, which automatically denies applicants who have opened more than five new credit accounts in the last 24 months. 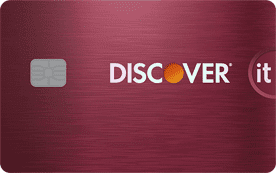 Additionally, Discover requires existing cardholders to have their current card for at least 12 billing cycles before they can apply for a second Discover card. Overall, the only true limitation on how many credit cards you can have is, well, you. If you rarely carry a balance from month to month and always pay your bill on time, you can easily have multiple credit cards and a great credit score. In fact, consumers with the best FICO scores (800 to 850) have an average of 10 revolving credit lines. On the other side of the coin, if you are prone to carrying credit card balances or often forget to pay your credit card bill on time, multiple credit cards could spell disaster for your credit score — and your pocketbook. In this case, you may want to limit yourself to one or two cards that you can learn to use responsibly, and stick to cash or prepaid cards for the rest of your purchases. 5. Can You Tell a Credit Card’s Type By Its Number? For a long while, whenever you used your credit card to make an online purchase, the checkout form would ask you which type of credit card you intended to use. These days, it’s less common to manually fill out this information, as most forms are coded to automatically identify your credit card network. So, as an example, suppose the first four digits of your credit card number are “3571.” In this case, the “3” would indicate that your credit card network was American Express. Similarly, credit cards with numbers that start with “4744” are processed by the Visa credit card network. 6. What Type of Credit Card Carries the Most Risk? When compared to the alternative payment methods of our past — namely cash and checks — credit cards provide an unbeatable level of purchasing security. For instance, given the extensive fraud protection offered by credit card companies, you rarely need to worry about your credit card being stolen and used to put you in debt, as many issuers cap (or eliminate) your liability. Chip-and-PIN cards require a four-digit PIN for purchase verification. At the same time, no payment method is 100% secure, as fraudsters and thieves are constantly looking for new ways to get their hands on your money. Thankfully, you can look for a few security features that will help prevent unauthorized use of your credit cards. The most important thing you can do is ensure your credit card is sporting the latest processing technology — the EMV microchip — rather than relying on outdated magnetic-stripe technology. While the old mag-stripe cards carried static information about your account that anyone could duplicate, the newer EMV-chip cards generate a unique code for each transaction that makes duplication difficult. But even in the EMV world, not all chip cards are the same. Although most chip-card purchases in the US are verified via a signature, this is often considered to be less secure than the four-digit PIN verification utilized in many areas of the world, including the majority of Europe. Other ways to reduce your credit card risk is to regularly monitor your credit card account to catch any unauthorized usage as soon as possible. A great way to make monitoring your card activity simple is to enable credit card alerts, which can email or text message you whenever a purchase — or other type of transaction — is made with your card. 7. How Do You Pick the Best Type of Credit Card For You? 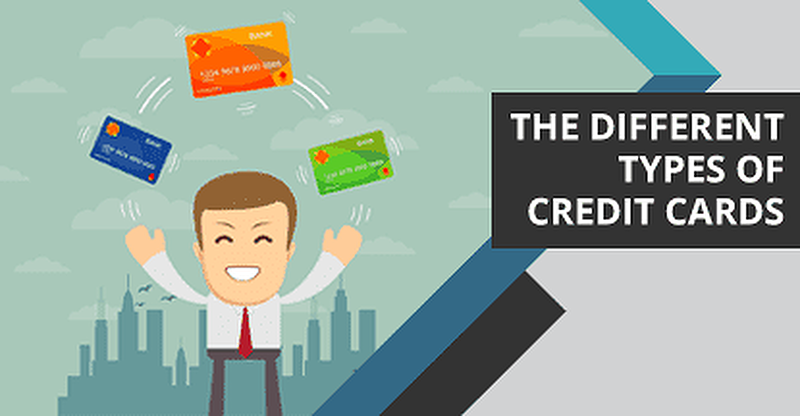 Whether looking for your first credit card or your 21st, trying to choose between the hundreds of different types of credit cards on the market can be mind-boggling for experts and novices alike. However, selecting the best credit card for your needs doesn’t have to be an overwhelming experience if you break it down to a few key factors. To start, consider if you need a particular credit card network. While all four major networks are accepted fairly widely in the US, worldwide acceptance can vary wildly by network, with Mastercard and Visa typically the most likely to be accepted abroad. If you travel overseas frequently, you may also want to consider a chip-and-PIN card over one that only provides chip-and-signature verification. The next step is to figure out what you want your new card to actually do. If you’re looking for an everyday card that will help you save a little money on the purchases you make most frequently, then a good rewards card may be your best bet. For those who tend to carry a balance, a card with an intro-APR deal is a no-brainer. If you have good to excellent credit, you can even combine the two options. For some consumers, the field of options may be limited by a poor credit score, as most consumers with FICO scores below 600 are unlikely to be approved for a prime credit card. If you’re looking at cards for bad credit, you’ll need to decide whether you want an unsecured subprime card, which typically have high rates and fees, or a secured credit card, which requires an initial deposit to open. In the end, the very best credit card for you will be the one you use responsibly. While credit cards can mean trouble for those who misuse them, they can have a lot of perks when used with care. Indeed, for cardholders who pay off their cards each month — and always pay on time — credit cards can be a safe, convenient, and rewarding way to make your everyday purchases, as well as valuable credit-building tools.